Independent training company Access to Music is moving into games education with a £1million investment in a new gaming college in Manchester. Starting next month, Access to Games will offer industry-led pathways to careers in games design, and from September 2018 will also offer progression routes into games art and technology, and animation and VFX. Students can train between one and two years and gain a nationally recognised B-Tech qualification extended Diploma in Creative Media Production. 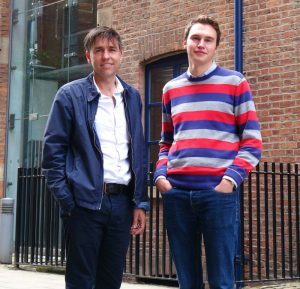 The new college will be based on Hulme Street in the heart of Manchester city centre and the curriculum led by 24-year-old Mikael Hellberg, a seasoned game developer from Sweden. Hellberg said: “Manchester’s games and tech sector competes on a global level. To keep it that way, and to cope with the predicted continued growth of the sector, we need to find and nurture home-grown talent. This helps with responding to the skills needs of the games community and develop a real eco-system. "Our students come from all backgrounds and academic achievements, as passion is key to succeed in any creative industry. Our team will teach and nurture the skills required by the industry. These include games art, character modelling and animation. They will also learn best practices about the business side of games production, including marketing, distribution and ultimately prepare them for the industry." Access to Games is a privately owned college, with courses for students aged 16 to 23. It currently trains over 250 students in Manchester and over 2,000 across the UK. Jason Beaumont, director of business development, added: “We have centres throughout the UK and are renowned for training some of the UK’s finest music talent, including Ed Sheeran - who is now a patron of the brand. We look forward to training the next generation of gaming talent and contributing to a rapidly growing creative sector."